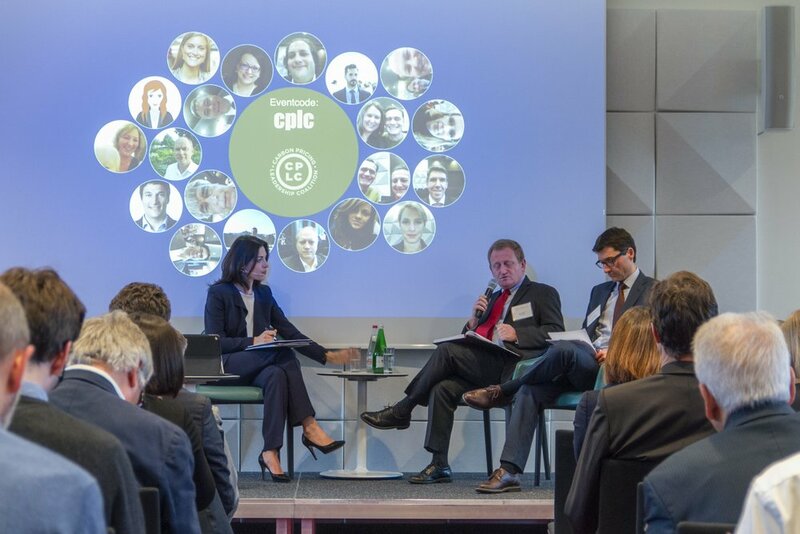 The Carbon Pricing Leadership Coalition, along with the Government of Switzerland, CDP and PRI, at a session on "Financial Institutions, Businesses and Climate Change: Addressing Risks and Opportunities in a Changing World" in Zurich in late January. At right are John Roome, senior director for Climate Change at the World Bank and Jörg Gasser, state secretariat for International Financial Matters, Switzerland. Last month, before CEOs and heads of state headed to Davos, some leaders started their week in Zurich for a deep dive on a topic that is growing in importance for corporate leaders: How to manage the risks — and find the opportunities — associated with a warming planet. The World Economic Forum, which organizes the annual Davos meeting, set the tone for the event in its annual Global Risks Report, which found for the second year in a row that business and political leaders think the world's biggest threat is extreme weather resulting from climate change. The January event, "Financial Institutions, Business and Climate Change: Addressing Risks and Finding Opportunities in a Changing World" (PDF), was organized by the World Bank Group's Carbon Pricing Leadership Coalition (CPLC) and the Swiss government, with support from CDP and the United Nations Principles for Responsible Investment (PRI). 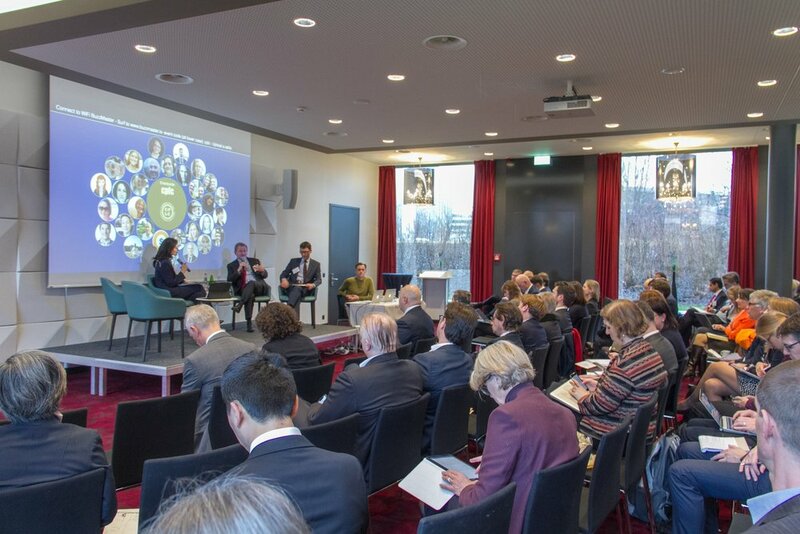 Senior representatives from global insurance companies, investors, banks, corporations and governments exchanged the latest thinking about how to respond to a growing list of climate risks and find competitive opportunities. John Roome, senior director for Climate Change at the World Bank, cited the growing specter of climate risks facing companies and governments — but also pointed to the potential to find profit, citing an International Finance Corporation study (PDF) that sees $23 trillion in investment opportunity in helping rapidly industrializing emerging markets to make good on their Paris climate pledges. Feike Sijbesma, CEO of Royal DSM, a Dutch materials and life sciences company (and IFC client), challenged his fellow corporate and banking leaders to not wait for government to act on climate. He explained his company's use of a $50 Euro-per-tonne of CO2-equivalent internal carbon price and its advocacy for government carbon pricing as strategies that were "future proofing" his company and making it more competitive in a changing world. The sense is that while there is currently some uncertainty around climate risk and opportunities, true leaders act, and this can help them to gain competitive advantage in the marketplace. Patrick Uelfeti, deputy head of Asset Management at Publica, the Swiss Pension Fund, called for a strong price on carbon — at least $50 and up to $100. Alison Martin, chief risk officer for Zurich Insurance Company, echoed this, saying that climate change is a systemic problem, one that requires 10 times the carbon price levels we are seeing today — or a carbon price of around $100. Portugal Minister of Environment João Matos Fernandes echoed this sentiment, saying the carbon price needs to rise in a steady, predictable manner; this will allow companies to plan their investments and make the transition to a low-carbon economy. This sort of business leadership is critical in the fight against climate change, according to Helen Mountford, program director of the New Climate Economy Initiative. She highlighted that corporate commitments inspire new government policies, which lower the cost of technologies, leading to greater adoption. This then allows for greater climate ambition. The CPLC aims to foster this sort of "virtuous circle" by bringing together business and government to generate more ambitious carbon pricing policies, most recently this week as it convened dialogues in Chile to discuss the future of a Latin American carbon market (PDF). Panelists also discussed the Task Force on Climate-Related Disclosure's recommendations, and what they mean for companies and financial institutions. Businesses are faced with a growing number of risks, including physical damage to assets resulting from extreme weather events, and from chronic changes such as drought. Legal and reputational risks are rapidly coming into focus, the most recent example being lawsuits filed in the United States. Technology and market risk is becoming a reality, perhaps most clearly for automobile manufacturers and energy companies as they look to respond to the growing number of governments that are setting targets to end the sales of internal combustion engine vehicles. Carbon pricing and other policy risk is also on the rise as more and more companies put a price on carbon pollution as a key part of their strategy to address climate change. Finally, stranded asset risk is becoming a reality for fossil fuel companies and investors, as more investors and insurers follow the lead of French insurance giant AXA and Lloyd's of London in eliminating coverage or holdings of fossil fuel assets. How does the progressive company or bank respond to these risks, and gain competitive advantage? Panelists felt that a simple first step is to commit to disclose via the TCFD recommendations: Do not let the perfect be the enemy of the good, and to just get started. Companies can define the types of risk they are disclosing on, using metrics such as fossil exposure or transition away from higher-emitting assets. TCFD also recommends aligning your company against a 2-degree pathway. Attendees felt the Science Based Targets Initiative — which has 339 companies on board — was a good place to start. An easy step that companies can take to implement the TCFD recommendations and achieve their science-based targets is putting in place an internal price on carbon. Some companies have found that internal carbon pricing can enhance their competitiveness. For example, Microsoft has moved from an internal carbon fee program to a more comprehensive approach that injects revenues collected from underperforming units into new business lines. This is helping the company to go beyond carbon neutrality. Private-sector-focused multilateral development banks such as the International Finance Corporation and European Bank for Reconstruction and Development are piloting carbon pricing and sharing lessons learned with other banks via CPLC's Banking Task Team. These topics were central to the discussions at Davos later in the week, when the World Economic Forum's CEO Climate Leaders Alliance released a new report, "Two Degrees of Transformation" (PDF), which highlights via a series of case studies how leading companies are finding profit while helping the planet to address climate change. Mahindra Group Chairman Anand Mahindra challenged his fellow CEOs in Davos to align their business strategies with the Paris Agreement, saying climate change is the "next century's biggest business opportunity." Companies interested in carbon pricing are invited to join the CPLC, and can find this webinar from CPLC, Yale University and the World Economic Forum featuring Unilever speaking about its experiences using internal carbon pricing. The CPLC will continue these conversations at its upcoming High-Level Assembly in Washington, D.C., as part of the spring meetings for the World Bank and International Monetary Fund. Newer PostLow-carbon shipping: Will 2018 be the turning point?